As the gala night of 10th anniversary of Miss Supranational 2018 is all set to host it’s grand ceremony on 7th December 2018, winners for the royal dinner had a great time at the lovely venue of Hotel Krynica. Right before the 10th edition of grand finale of Miss Supranational, a Royal dinner with very special guests was held at Krynica Zdroj. The president of Nowa Scena Mr Gerhard Parzutka von Lipinski graced the occasion by his presence. 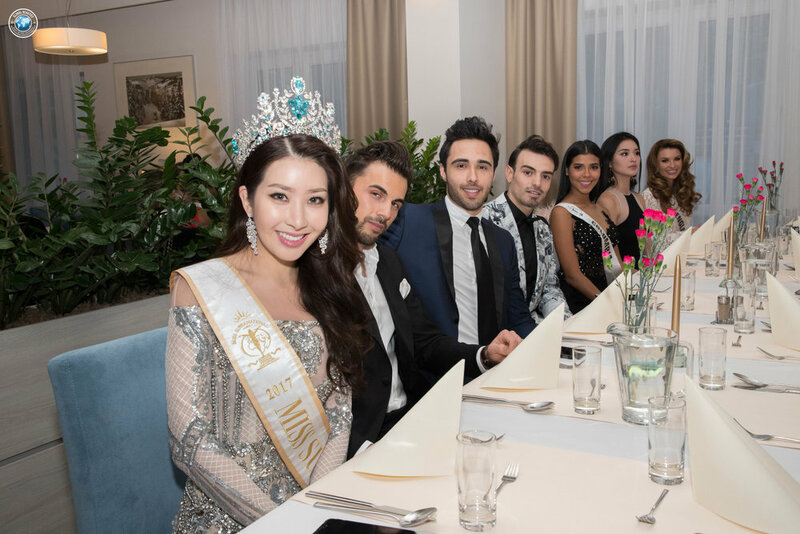 Former queen Jenny Kim and all eight queens from the previous years, in addition to Mister Supranational 2017 Gabriel Correa had a great time at the dinner table. The dinner was also attended by the ten winners from this year’s edition who were selected through online voting. The winning countries include : Ukraine, Philippines, Myanmar, Vietnam, Malaysia, Finland, Indonesia, England, Colombia and Mexico. The criteria of voting were quite simple; by either liking an elegant photo with a royal stamp by Raymond Saldana on Instagram (five contestants were selected through Instagram) or watching the Official Contestant Introduction Video on Youtube (five contestants were selected through more views on their official contestant introduction video on Youtube). Let’s have a look at the pictures from the dinner table. The pictures already look so delicious, don’t they haha?